London Bridge Station, the fourth busiest station in the country, is undergoing a massive redevelopment project which will create new platforms allowing for more trains, a new concourse and a bigger station to accommodate the 50 million passengers it brings into the city each year. The improvements will be funded by the Thameslink programme, a £6bn Government investment in rail. 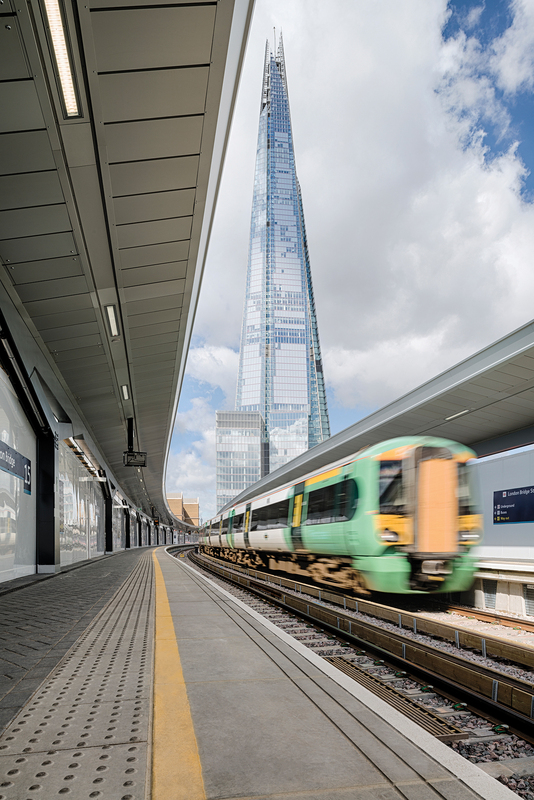 Marshalls was selected to supply and fit pavement and drainage products for the first phases at London Bridge station. The project will involve the construction of 15 new platforms in total over the next four years. Marshalls has been involved in this long-term project for Network Rail for the last three years, working closely alongside Grimshaw Architects and engineering and construction group Costain’s in-house design and procurement teams to provide the perfect products. The station re-development is expected to be completed by 2018. A number of platforms have been completed to date using a significant number of Marshalls paving and drainage products. The paving products were required to be hardwearing to cope with the high level of passenger footfall, as well as durable to handle the large numbers of luggage, trollies, wheelchairs and pushchairs used by passengers. Drainage was needed along the platform as well as coping units on the platform edge where passengers enter and exit the trains. Network Rail set out strict criteria, demanding adherence to tight deadlines and the use of high specification products. On top of this, as a key supplier, Marshalls had to access the site - still a very busy, functioning train station – with timed deliveries, usually between 4pm and 10pm through the centre of the Capital while keeping disruption to a minimum. Marshalls demonstrated that their products were ideal by contributing to a mock-up of what was required and how the platforms would work and look, at a special site in Edmonton, North London. With numerous tests undertaken before construction began, Marshalls was able to prove these products were suitable in both aesthetics and function. The combination of a Birco Lite Grate with Birco Profil Channel was offered as an alternative, rather than the originally specified system using stainless steel. A radical departure from other forms of surface water drainage, Birco’s ability to intercept, store and transport surface water in a cost-effective and efficient way, was ideal for these platforms. This combination not only allowed for the more unusual tight 100mm space in which to install, but, with its galvanised channel and Birco Lite cast iron top, also proved much more economical than stainless steel. Side drainage was also required which was accommodated into the final design, and altogether around 4,000 linear metres of drainage will be required. Overall 14,000 sq m of Keyblok block paving at 60mm in Charcoal will be required for the platforms themselves, as well as the platform edge (offset tactile) using 400x400x50 in Natural and around 4,000 linear metres of NR A100 coping units. Using Marshalls products and their expert knowledge of linear drainage and installation allowed Network Rail to keep to their tight deadlines while keeping a busy station up and running. Marshalls has worked closely with the architect and engineers over a long period of time, allowing them to get under the skin of the project and coming up with cost-saving and effective alternative products. Working with Marshalls ensured that Network Rail and the engineers were happy with the products, testing them before construction began, and have an expert, dedicated team on hand to complete the first phase of the project while working towards the next stage.